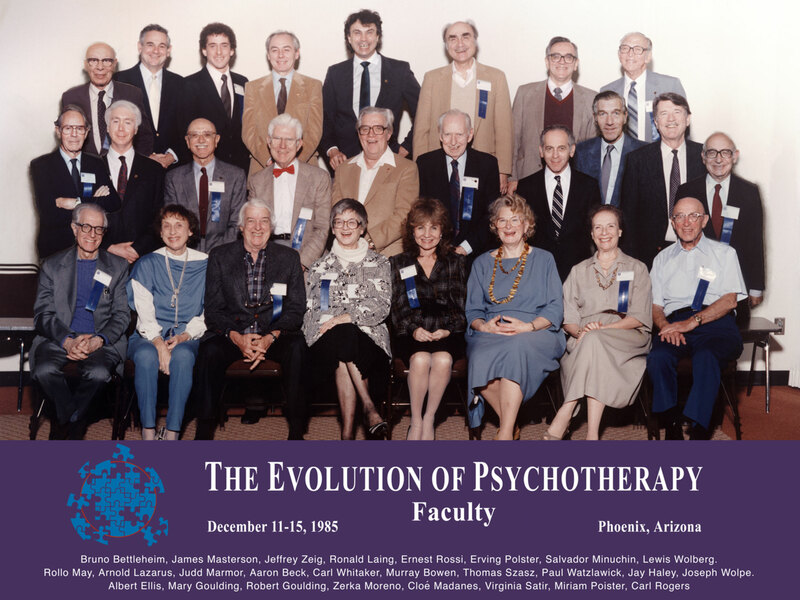 The Evolution of Psychotherapy Conference was devised to provide an opportunity for leaders in the field of psychotherapy to present and interact on the topic of "The Evolution of Psychotherapy" by discussing the evolution of their approach to psychotherapy and the evolution of psychotherapy in general. Each morning of the Conference faculty members will present one-hour Invited Addresses. After each address, there will be a thirty minute time period for discussion of the address by another faculty member, and questions and comments from the audience. There will be two addresses per three-hour panel and two to three panels running simultaneously each morning. Concurrently with the Invited Addresses, a second track of three-hour Workshops will be held for those who prefer a more extensive learning experience with an individual faculty member. Where the invited addresses are meant to be theoretical, the workshops are designed to be more clinically oriented. After lunch, there will be one-hour Clinical Presentations which can take one of two forms. Faculty will either present a film or videotape of psychotherapy or supervision, or conduct a live demonstration of psychotherapy or supervision. Topical Panels (e.g., on schizophrenia, resistance, etc.). Case Discussions (in which panel members are presented with a written case description and asked to discuss their conceptualization and treatment plan). Supervision Panels (in which a registrant presents a case and panel members provide supervision). Conversation Hours provide an opportunity for discussion between faculty and attendees about topics of mutual interest. Concurrently with Panels and Conversation Hours, a second track of three-hour Workshops will be held for those who prefer to work extensively with one faculty member.